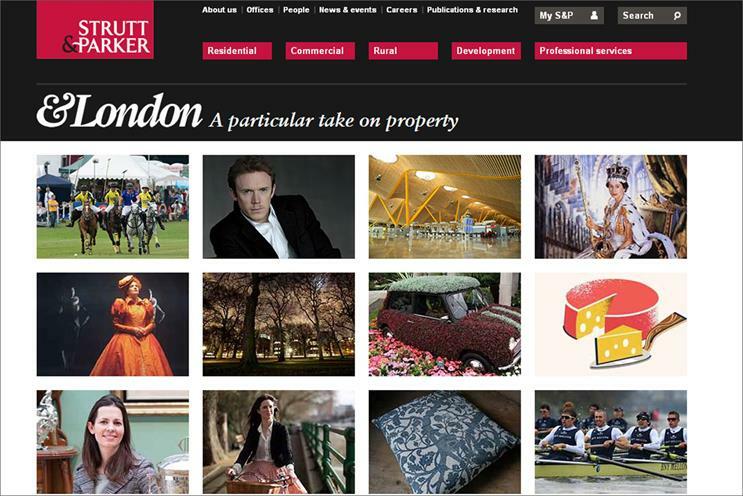 Strutt & Parker, the property company, is running a review of its creative advertising arrangements, ahead of a push to become the "go-to" brand in the market. The business, which is an independent estate agent and property consultant, has issued a brief to agencies incorporating advertising and digital work. Creativebrief is running the review. The planned media spend is believed to be in the region of £1.5 million. Strutt & Parker currently works with the independent agency Them London and SAS, which is part of Publicis Groupe, on its creative advertising. It claims to have more than £3.5 billion worth of residential properties on its books and 24,000 applicants actively looking for property.